Consumed with research geared toward reading and how it effects the success of children both through their schooling years and onward has lead me to post this challenge. I started thinking as research continues how there will always be some parents out there who fall into one of two categories, those who care and those who don't. However, by looking at an individual this can not be determined. 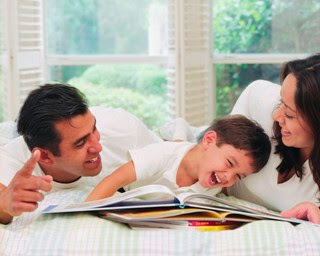 It is for this reason that I challenge everyone to to talk to parents of children under the age of five or those who will soon become parents about the importance of talking and reading to their children. children who are talked to and read to on a regular basis have a better chance at achieving success both in their schooling and their future. I myself am guilty of talking to parents or soon to be parents about a variety of topics concerning children, but never this topic.